In the business of insuring lives, one often forgets that is it to do with real people and real people have emotions. Insurance firms are slowly and steadily making the shift to accommodate more emotions into their brand communication and marketing strategy. A recent initiative by HDFC Life is a clever yet touching attempt at valuing family relationships, particularly that of the insured one. At the heart of the campaign is a digital platform called ‘Memories for Life’ where one can leave memories for their loved ones in the form of recorded videos and text messages. The platform provides for a way to record your messages online or create a scrapbook for your messages and schedule them to be sent to your chosen recipient. HDFC Life’s agency Leo Burnett has rolled out a film to demonstrate the power of the platform. The 2-minute film begins with a young and successful guy celebrating an achievement in office, when he receives a surprise message on his phone – from his dad. And we know the man is no more because he says he isn’t sure whether he would be around ten years later when the son would receive this message. Thereafter begins a tear-jerker of a story, especially for those who are missing a loved one. As the son makes his way to the airport, he continues with the video message, where his dad tells him things he couldn’t tell earlier. The son changes his mind and asks to be taken to the station instead. He pays a visit to his mother and together they watch the father talk to them in the video – about chasing one’s dreams but never losing touch with a loved one. The last 15 seconds introduce the platform while the brand tagline ‘Sar utha ke jiyo’ adds the required emphasis to the story. Social amplification is being achieved via contests. People are being invited to leave messages for their loved ones, this Valentine’s Day, the insurance brand’s contest gave lovers a chance to win big by leaving behind love messages on the platform. They say loved ones never die, they live on in our memories. ‘Memories for Life’ is a beautiful adaptation of those many forwarded email and WhatsApp stories where a loved one had stored many letters for those left behind to be read on every birthday. Now it says messages can be scheduled upto 10 years, which makes HDFC Life’s initiative a visionary move. Given the number of life insurance brands in the country, each with a good plan, it is necessary to create a differentiation by way of emotions. And what better than a platform that will store personal messages for people. 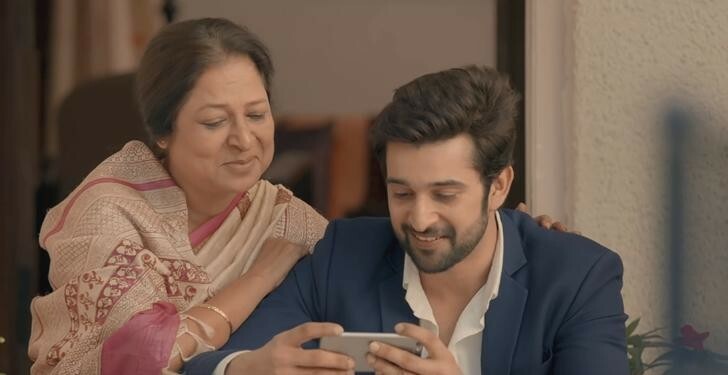 The campaign not only brings alive the brand’s promise of ‘Sar utha ke jiyo‘, it also helps HDFC Life become a messenger for its consumers, much like a part of their lives. Brilliant initiative from a BFSI brand, and I hope it stands the test of time, and does not fade away like the many such long term online initiatives seen in the past. Back in 2015, we came across many emotion-fused marketing campaigns by Indian insurance companies where the message was conveyed through a long format digital film, while new cover plans and how it could save your tax took a backseat. It was refreshing to see no hard selling on digital, but the challenge was to stand out from the crowd. Storytelling and a dedicated platform seems to be the next logical move.